About a month ago we got our first look at Stephen Soderbergh’s Contagion, and if nothing else it proved that Soderbergh can easily get every single actor in Hollywood to be in his movies. Seriously, the list of A-list actors in the movie is so long they're inventing larger billboards so they have room to fit them all in the ads. By that token it should be no surprise that the first batch of six character posters have been released over at Yahoo! Movies, showing off the movie's boldface names--Matt Damon, Marion Cotillard, Kate Winslet, Laurence Fishburne and Gwyneth Paltrow-- as they fight the infection in this new set of very yellow and battleworn posters. Check out three of them below, and click on them for the full gallery at Yahoo. A few of the posters look great. Damon’s and Paltrow’s in particular instill a feeling of fear that gets to you even if you didn’t know what the movie is about. 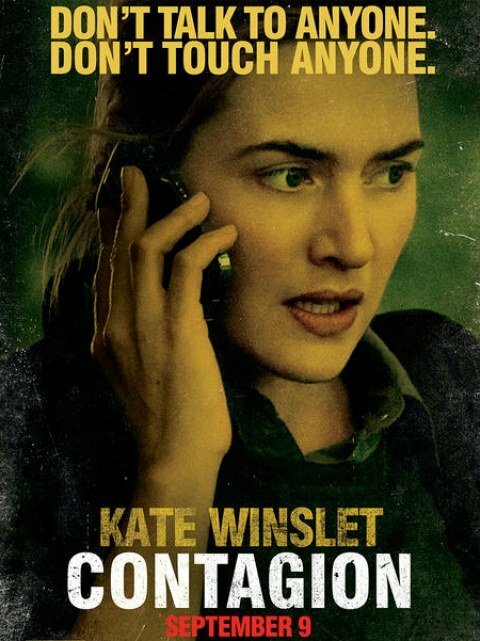 But Winslet and Fishburne get shafted with ultra boring “looking concerned while on the phone” posters, leaving all the work of conveying any sort of feeling to the weathered edges of the images. 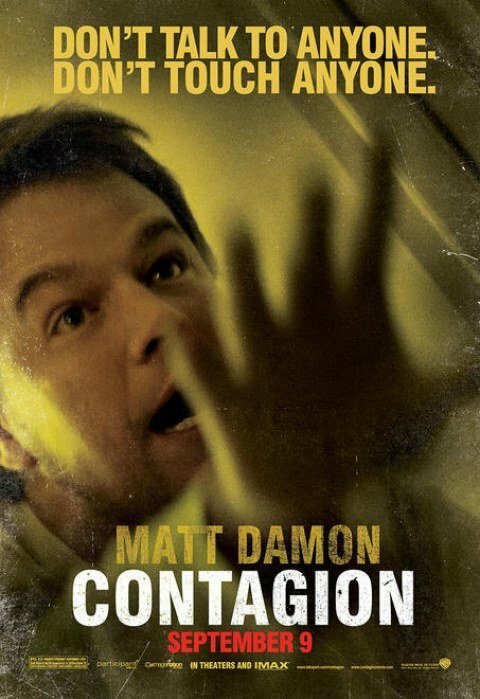 Contagion looks like it’s set to be a hit. What with the amazing cast and the stellar first trailer, it seems like success is the only possible destiny for Soderbergh’s next. We’ve been fooled before, but the caliber of talent associated with the film is hard to ignore. Check out Contagion when it hits in one month, and check out the rest of the new set of posters below.